Approach You’re Probably NOT Using Right Now. Product/Service Like Child Wants Candy! Let’s get down to it: I’m going to let you in on a slightly different approach to selling you’ve probably have NEVER been taught… even from me. These techniques come from a niche some may consider to be a little “shady”, unethical, and downright devious. And some of you might get downright offended and flick off your internet browser right now. 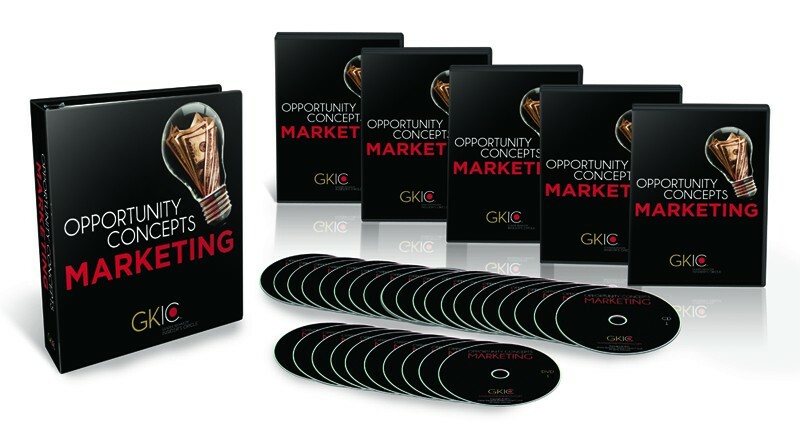 But if you’re like our most successful GKIC members who are always looking for marketing techniques they can “swipe and deploy” in their businesses…well, I’m going to let you in on a marketing arsenal that’ll allow you to boost your revenue and profits. This is stuff I couldn’t simply publish in the “No B.S. Newsletter” and call it a day. And I couldn’t sit down and hammer this out in a book or $297 product and expect to give these strategies the probative attention they deserved. You see, this could be HUGE for you and your business. And what I have to share with you is necessary NOW more than ever thanks to today’s “gutter” economy. When you read every single word of this message, you’ll discover how to sell to your prospects better so you can boost your income, attract more clients and customers, and experience MORE wealth and prosperity in your business. …or if you think I’m going to feed you the usual copywriting tricks like writing headlines full of “power words” or inserting hypnotic commands in your copy, then you’re sorely mistaken. Because in this letter I’m going to present to you an alternative, very effective approach used by one of the most “cutthroat” businesses in the world. You see, I’ve seen and done it all. I’ve been “pounding the pavement” for almost 40 years and am one of the “go-to” guys most marketers go to for advice. And people gladly pay me $100,000 to $150,000 for copywriting—and shell out $18,800 to spend the day in order to pick my brain. And I’ve had my hand in some of the world’s most profitable promotions via infomercials, direct mail…and, yes, even online. …something that 99.9% of businesspeople WISH they could do! So the secrets I’m going to reveal in this letter could mean EVERYTHING to you. I know, because they were for my private clients… all of which whom have raked in a collective 1 BILLION dollars based on my “say so”. Then I Suggest You Close This Browser Now! Now before I go on, I know there’s a faction out there who believes that all they have to do is hum Gregorian chants and think happy thoughts to achieve financial and business success. This cannot be further from the truth! You see, I’m a very practical guy. I don’t dabble around in “theory”…so I can leave you wandering around with your head cut off wondering what the HECK to do next. I like to give you specific action steps you can take RIGHT NOW in order to build your business. No B.S. No “Fluffy Stuff”. …then I suggest you flick off your browser and go watch Jersey Shore. Reach out to new prospects. The strategies I have to share with you will allow you to “Mass market” your product or service. Instead of trying to find the 1-2% of people who are “just right” for your service, you could capture up to 10-20% of market share almost overnight! Reposition your business so you can attract more lucrative customers and prospects. You’ll be exposed to endless case studies and stories of companies and individuals who have created a “business within a business” thanks to the strategies I’m about to share with you. And a lot of times, it involved only a small “profit tweak” to make that happen. And most of the time, the 2nd business is more lucrative than the first! Reinvent a stalled business. If your business has been stagnant the past couple years, then what I have to show you could be a breath of fresh air—allowing you to attract more clients and customers and get back on the right path of prosperity and abundance. This could mean EVERYTHING to you! In other words, making money will be easier for you, and you’ll experience unparalleled sustainability, control, and confidence in your business. Imagine that. Waking up in the morning excited…knowing you’re on the right path in your business—and not just “guessing”. And knowing where you’re business is going to be 6-12 months from now—instead of fretting whether or not you’ll be able to meet payroll or pay the bills next month. My clients and followers in GKIC who listen to me and take action on what I say have absolute autonomy in their businesses. They can do what they want, whatever they want, without anyone’s permission. And I decided to hold a special “closed-door” 3-day seminar in March 2011 to reveal why there’s probably a canyon-sized gap between where your prospects “are” when you reach them…and where you “are” when you start your conversation with them with your sales message. And how you can use these jealously-guarded secrets used by the most battle-hardened marketers to “close that gap”…so you can explode your sales and flick the “money” switch from difficult to easy. And believe me, there IS a gap!